If you live in climates where cold weather is common then it could cause problems for your brakes. Now mechanically speaking, cold temperatures don’t actually ruin your vehicle’s brakes. But what they can do is cause your brake rotors and pads to wear out faster. The reason for this has to do with the slippery conditions of the roads when there is ice, snow or slush on them. When a vehicle’s tires move over a slippery road it will cause its brakes to work more ineffectively. Aggressive driving conditions like these will eventually cause your brake pads to form cracks in them. Once these cracks form, the dirt, water, and cold air from the outside will get into the cracks of your brake pads. Then these elements will find their way to your brake lines and ultimately impair the brakes. The cold air will end up freezing the brake lines which will create noticeable noises like grinding and squeaking after you step on the brake pedal. That is why every auto mechanic will tell you that changing your brake pads periodically is essential in order to protect the brake line of your vehicle. This goes double for people who live in colder areas. You should have a diagnostic test performed on your car at least every six months if you experience lots of cold weather, especially if the weather creates ice and snow on the roads. 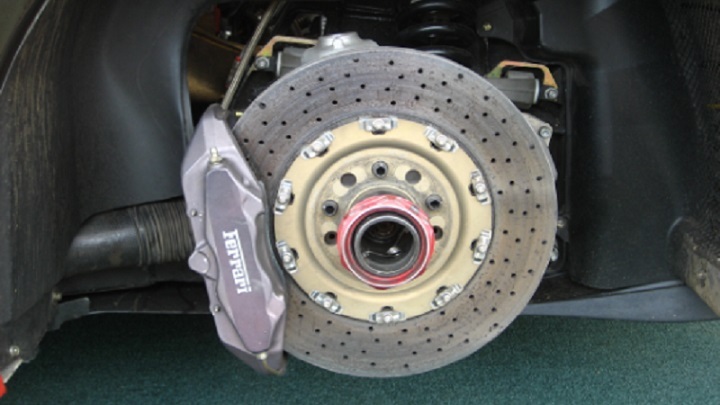 If you notice the symptoms of faulty brake pads and you ignore the problem then it will eventually cause your rotors to get damaged. Then you’ll have to pay hundreds of dollars to get them fixed. But furthermore, you are putting your life and the lives of your passengers in danger if you continue to drive on slippery roads with brake pads that have cracks in them. The good news is brake pads typically cost about $50 for parts alone. The labor will likely cost another $50, or perhaps a little more. So if you get to the automotive shop before any serious damage is done then replacing your brake pads should cost you under $200. This is a very reasonable amount when you consider the damage it can cause your brakes if you were to let them get ruined from these cracks. As for those who live in hot temperatures, you should still have your brake pads checked once per year because predominately hotter areas can still get cold during the winter season of the year.